separate sleeve. An outer pocket (not waterproof) keeps small items like smartphone, keys etc. within reach. Lateral reflectors ensure safety on your trip through town. Once you get to your destination, the bag can be nicely carried over your shoulder. 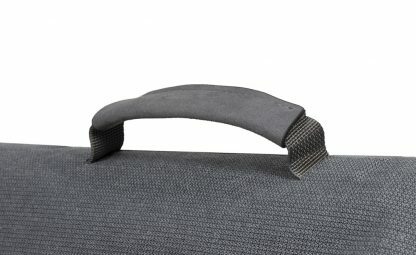 Handles and shoulder pad made of mircofiber guarantee comfortable transport. Quick and easy mounting to the rack is ensured by the handy QL2.1 mounting system – when lifting the handle, the hooks open and close automatically. 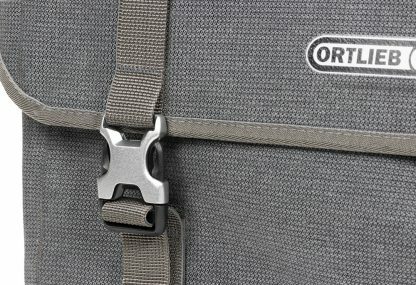 The QL2.1 hooks are compatible with rack diameters up to 16 mm (including 8, 10 and 12 mm inserts). A 20 mm hook is available as optional accessory for racks with larger tube diameters. most carriers. The Commuter-Bag Two is a PVC-free product sustainably made in Germany. The Commuter-Bag combines urban design with waterproof function. 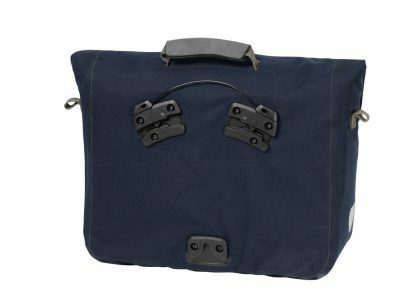 The waterproof PU-coated Cordura blend is a perfect match to your business and casual look – ideal for biking to work, university or the city. separate sleeve. 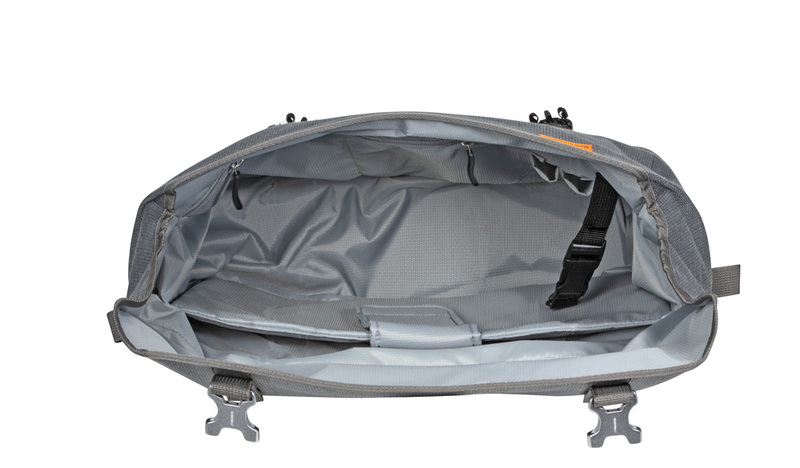 An outer pocket (not waterproof) keeps small items like smartphone, keys etc. within reach. Lateral reflectors ensure safety on your trip through town. Once you get to your destination, the bag can be nicely carried over your shoulder. 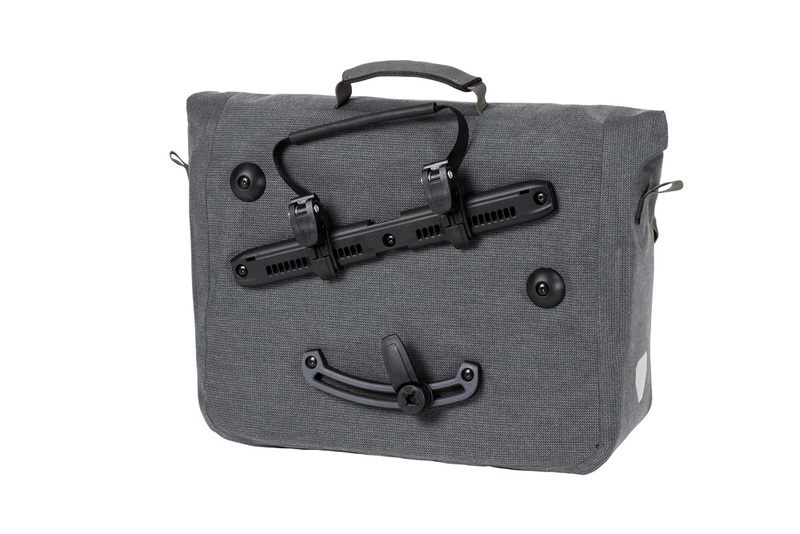 Handles and shoulder pad made of mircofiber guarantee comfortable transport. 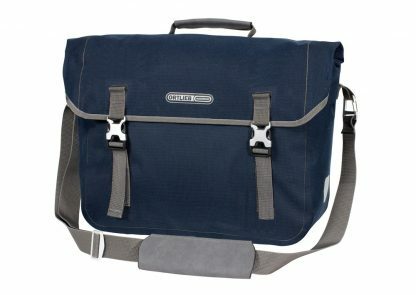 The Commuter-Bag QL3.1 offers the benefits of a spacious shoulder bag, however, with the bonus of having an innovative rack mounting, Quick-Lock3.1. It allows even more comfortable and quicker mounting of the pannier. Simply insert into the lower mounting element, move towards the rack and slide into the top hooks by a lateral motion from left or right. The hooks lock automatically and disengage by lifting the bag. 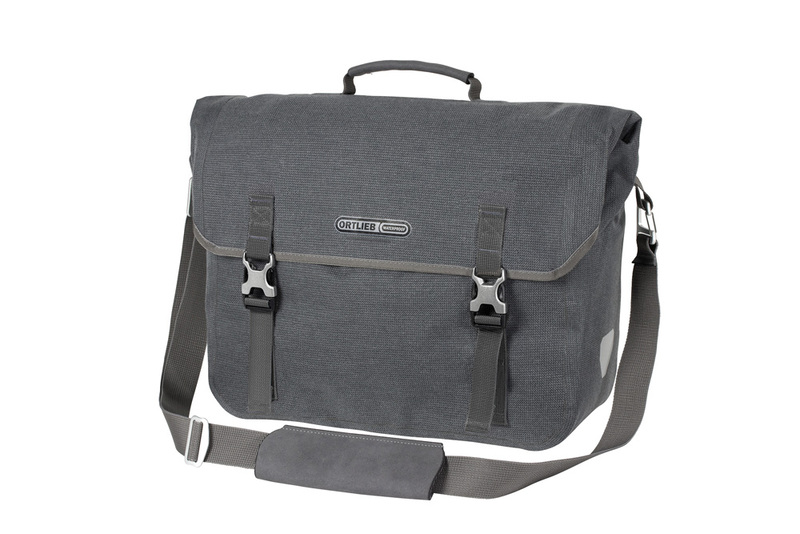 bag‘s back uncluttered, ideal for use in daily life. The Commuter-Bag Two is a PVC-free product sustainably made in Germany.